Want it delivered, Thursday 25th, April? Order in and choose Next Day Delivery at checkout. Or Free Standard Delivery on orders over £30. 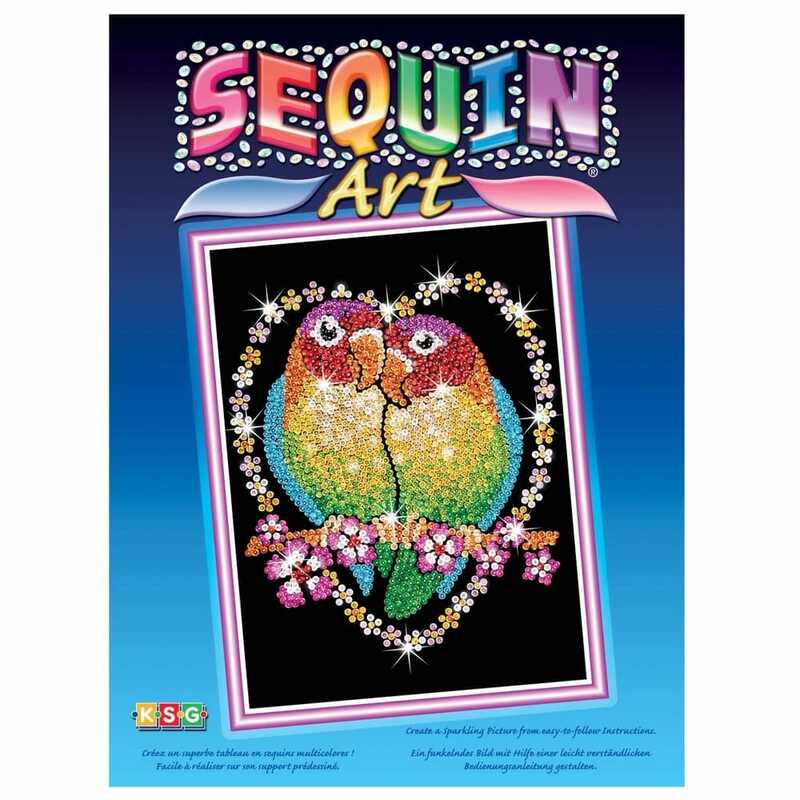 Produce a stunning Sequin Art picture, a vibrant creation. Produce a stunning Sequin Art picture using sequins and beads by simply placing the velvet design on the frame and attaching the sequins to complete this vibrant product. This product is suitable for children of 8 years and over. A bit about the brand: Produce beautiful glittering sequin pictures and 3D artworks with these stunning kits. The collection includes something for everybody, with junior sequin art sets for kids, 3D sequin art kits and bead sets for all ages, perfect for adding a little shine and sparkle to your creative crafts.